The sudden rise in food and fuel prices in the past four months in Uganda is raising concerns, with residents agitating for the government to intervene and curb the increases. 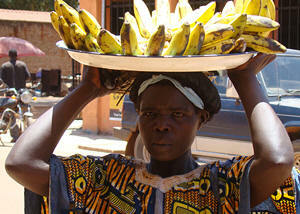 In Gulu town, a 42-year-old slum dweller, Christine Amony, ekes out a living by selling bananas in Gulu Town Street. She spoke to IRIN about living on one meal a day as she copes with the high cost of living.